Myocarditis is an acute infectious or immunologically mediated syndrome causing inflammation of the heart muscle. It is diagnosed by histological, immunological and immunohistochemical criteria. It is an uncommon disease but it has a significant morbidity and mortality: four year mortality from all forms of the condition is around 56% (Mason et al. 1995); 8.6% of adults with no evidence of coronary artery disease who died from a sudden cardiac death in the UK had post mortem evidence of myocarditis (Fabre and Sheppard 2006). On histological examination the inflammation may be focal or diffuse (Brady et al. 2004). 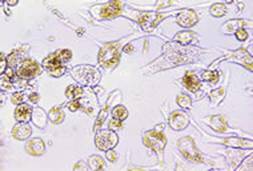 The presence of dead or degenerated cardiac myocytes with surrounding inflammation is the hallmark of the disease process. Macroscopically, the heart may develop biventricular dilation but the valves and subendocardium are normal. Fibrosis of the damaged tissue over time results in poor cardiac contractility and function and may result in conduction abnormalities. Myocarditis may progress to a dilated cardiomyopathy in some cases, particularly those of a viral aetiology. Many aetiological agents have been implicated as causes of myocarditis. 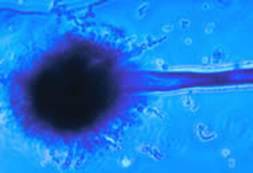 These include a wide variety of infectious agents, systemic diseases, drugs and environmental toxins. Around half of all cases are idiopathic (Karjalainen et al. 1983). Immunocompromised individuals have a higher incidence of myocarditis. Viruses are considered to be the most frequent cause of myocarditis in the developed world. The enteroviruses (Cocksackie A and B) are most commonly encountered and show a seasonal pattern of presentation with peaks in the spring and autumn. Viruses can be detected by confirming a rising antibody titre or viral culture during the acute phase of the illness or by the presence of the viral genome in endomyocardial biopsy samples. 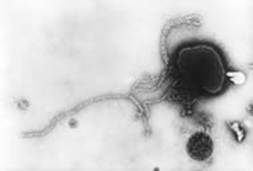 It is likely that as advances in the detection of viruses from blood and tissue samples are made, more patients with a viral aetiology will be identified. Most authorities agree that since myocarditis often develops some days or weeks after acute infection, an immunologically mediated reaction occurs rather than direct attack on the cardiac muscle by the causative organism. The commonest cause of myocarditis and subsequent dilated cardiomyopathy worldwide is Chagas disease caused by the protozoan Trypanosoma cruzi (Felman and McNarama 2000). This disease is endemic in Central and South America and most patients remain asymptomatic for many years after infection following which about 20% develop chronic heart failure. A thorough physical examination may reveal signs of cardiac dysfunction, or in severe cases, cardiac failure or cardiogenic shock. There is a broad differential diagnosis of myocarditis. Any condition that presents with the symptoms listed in Table 1 should be considered including: ischaemic heart disease, rheumatic fever, primary cardiac arrhythmia, endocarditis, pericarditis, pulmonary embolus and septic shock. In the ED an ECG, chest radiograph (CXR), echocardiography and cardiac biomarkers should be performed at an early stage. There is no single diagnostic test in the ED that will confirm a diagnosis of myocarditis but several investigations will aid in making a clinical diagnosis. 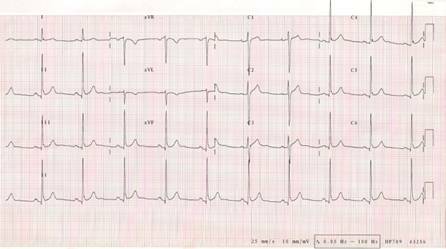 The ECG most commonly demonstrates a sinus tachycardia with or without non-specific ST segment and T wave changes. A finding of an unexplained sinus tachycardia with no other likely cause should prompt consideration of a diagnosis of myocarditis. In contrast to ECG abnormalities in acute coronary syndromes, changes associated with myocarditis do not follow a coronary artery territorial distribution. 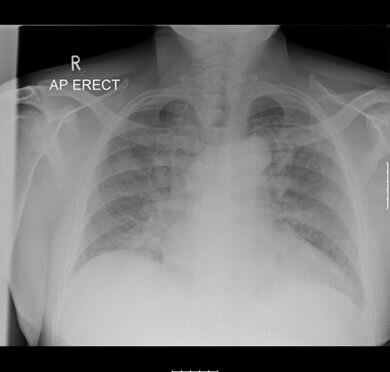 A CXR may be normal or it may show cardiomegaly or features of cardiac failure. 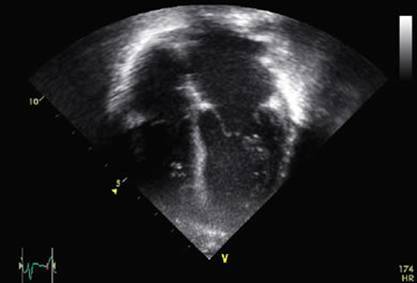 Transthoracic echocardiography is currently recommended in the initial evaluation of all patients with suspected myocarditis. Echocardiographic findings can be varied and are non-specific (Magnani and Dec 2006). A retrospective review of echocardiograms performed in patients with biopsy proven myocarditis demonstrated left ventricular dysfunction in 69% of patients but left ventricular cavity enlargement was less common (Smith et al. 1997). Right ventricular dysfunction was demonstrated in 23% of these patients. Cardiac biomarkers such as troponin or creatinine kinase may be elevated but normal levels do not rule out a diagnosis of myocarditis. In one study of 88 patients with biopsy proven myocarditis only 34% had an elevated troponin I and 5.7% had an elevated CK-MB. Those patients who had duration of symptoms for less than one month were significantly more likely to have a rise in troponin which would suggest that most of the cardiac muscle cells necrose early in the disease process. This is of relevance to emergency physicians because we are most likely to see patients at the start of the inflammatory process. Only about one third of patients with proven myocarditis have a troponin rise. In addition blood cultures should be sent in a febrile patient. Antimyosin cardiac imaging to demonstrate areas of cardiac myocyte necrosis and cardiac CT or MRI are all being used increasingly to investigate patients with suspected myocarditis. These are unlikely to be available as first line investigations to the emergency physician. Serological tests may be required to identify the cause of the myocarditis. The gold standard test for diagnosis of myocarditis is an endomyocardial biopsy, although considerable debate remains on the exact histological diagnostic criteria. This will be combined with immunohistochemistry and viral polymerase chain reaction (PCR). Infiltration of the myocardium by inflammatory cells and myocyte necrosis is pathognomonic of active myocarditis, but multiple samples may be required and biopsy has considerable limitations (Magnani and Dec 2006). The decision when to perform an endomyocardial biopsy and the interpretation of the results clearly extends beyond the practise of the emergency physician. Supportive care is the initial treatment for patients with myocarditis. A rapid assessment of the airway, breathing and circulation should be made. Some patients may require resuscitation with urgent initiation of invasive ventilation whilst others may not require any supplemental oxygen and are haemodynamically stable on initial presentation. Adequate perfusion pressures should be maintained which may require maximising preload with cautious fluid administration and/or the use of vasopressors and inotropes to maximise cardiac function. This will mandate invasive monitoring and central venous access. Heart failure should be treated following conventional guidelines. In the acute setting, this may require diuretics, nitrates and non-invasive ventilation; in the longer term, ACE inhibitors have an important role in management. Cardiac arrhythmias should be treated promptly to reduce increased myocardial demand and any systemic hypoperfusion that occurs as a consequence of the arrhythmia. Other factors or co-morbidities which may exacerbate physiological compromise, (e.g. anaemia, intercurrent infection and poor glycaemic control) should be promptly identified and treated. Some patients may not maintain an adequate cardiac output despite these measures and the use of intra-aortic balloon pump or extra-corporeal membrane oxygenation may be required. Immunosuppressive therapy has been used to treat patients with acute myocarditis; however, no good evidence exists to support its use. The Myocarditis Treatment Trial randomised 111 patients with biopsy proven myocarditis to receive placebo or immunosuppression with prednisolone plus either cyclosporine or azathioprine for 24 weeks (Mason et al. 1995). There was no significant difference in improvements in left ventricular function or mortality between the groups. A Cochrane review in 2006 of the use of corticosteroids for myocarditis identified no randomised controlled trials that met their inclusion criteria (Chen et al. 2006). Immunosuppression may have a role in patients with myocarditis as part of a systemic autoimmune disease. Intravenous immunoglobulin has also been used to treat acute myocarditis. It is still frequently administered to children. However, a 2005 Cochrane review of the use of intravenous immunoglobulin for presumed viral myocarditis found no evidence to support its use (Robinson et al. 2005). Treatment of myocarditis is largely supportive and this may involve aggressive cardiorespiratory resuscitation in the ED. The natural history of myocarditis is poorly understood and very variable. It includes disparate outcomes such as early death, development of a dilated cardiomyopathy (DCM), and complete resolution of symptoms. Presentation with heart failure or syncope, the finding of bundle branch block on the ECG or a reduced ejection fraction on echocardiography are all associated with poor outcome. In a review article DAmbrosio et al (2001) attempted to identify factors at clinical presentation to predict a patients clinical course. Patients with a presentation of chest pain and those with brady-arrythmias or narrow complex tachy-arrythmias tended to have a better recovery of cardiac function and lower mortality (87% 4 year transplant-free survival). Those who presented with heart failure, syncope or ventricular arrhythmias had a poorer prognosis and more patients developed a dilated cardiomyopathy (54% 4 year transplant-free survival). Interestingly, patients who survived the acute phase of a fulminant myocarditis had an excellent 11 year survival of 93% compared with those patients with a non-fulminant picture who had a 45% survival. A mean of 21% of patients with myocarditis developed DCM. The Myocarditis Treatment Trial demonstrated a 1 year mortality of 20% and 4 year mortality of 56% in patients with biopsy proven myocarditis, with 9% of patients requiring cardiac transplantation. Syncope, bundle branch block and an ejection fraction less than 40% were reported as independent variables associated with a higher mortality and the need for transplantation in this study. BRADY, W. et al. (2004) Myocarditis: emergency department recognition and management. Emergency medicine clinics of North America, 22, pp. 865-885. CHEN, H., LUI, J. and YANG, M. Corticosteroids for viral myocarditis (Cochrane review). In: The Cochrane Library, Issue 4. Chichester: Wiley, 2006. DAMBROSIO, A. et al. (2001) The fate of acute myocarditis between spontaneous improvement and evolution to dilated cardiomyopathy: a review. Heart, 85, pp. 499-504. FABRE, A. and SHEPPARD, M.N. (2006) Sudden adult death syndrome and other non-ischaemic causes of sudden cardiac death. Heart, 92, pp. 316-320. FELMAM, A. AND MCNAMARA (2000) Myocarditis. The New England Journal of Medicine, 343, pp. 1388-1399. KARJALAINEN, J. et al. (1983) Etiology of mild acute infectious myocarditis: relation to clinical features. Acta Med Scand, 213, pp. 65-73. MAGNANI, J. and DEC, W. (2006) Myocarditis: Current Trends in Diagnosis and Treatment. Circulation, 113, pp. 876-890. MASON, J. et al. (1995) A Clinical Trial of Immunosuppressive Therapy for Myocarditis. The New England Journal of Medicine, 333, pp. 269-275. ROBINSON, J. et al. Cochrane Database of Systematic Reviews (Cochrane review). In: The Cochrane Library, Issue 1. Chichester: Wiley, 2006. SMITH, S. et al. (1997) Elevations of Cardiac Troponin I Associated with Myocarditis. Circulation, 95, pp. 163-168.